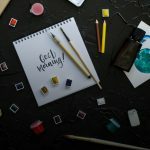 This past summer we set to work gathering memories, mementos, letters and art for inclusion in a time capsule to commemorate King Edward storied 90 years of service as a school and mark the building’s rebirth as cSPACE King Edward – a hub for creativity, arts and innovation. We asked the community and school alumni to share their memories to help us capture the spirit of King Edward School. We heard from former students, teachers, and staff; receiving stories, memories, yearbook pages and photos from King Edward’s heyday as one of Calgary’s original sandstone schools. 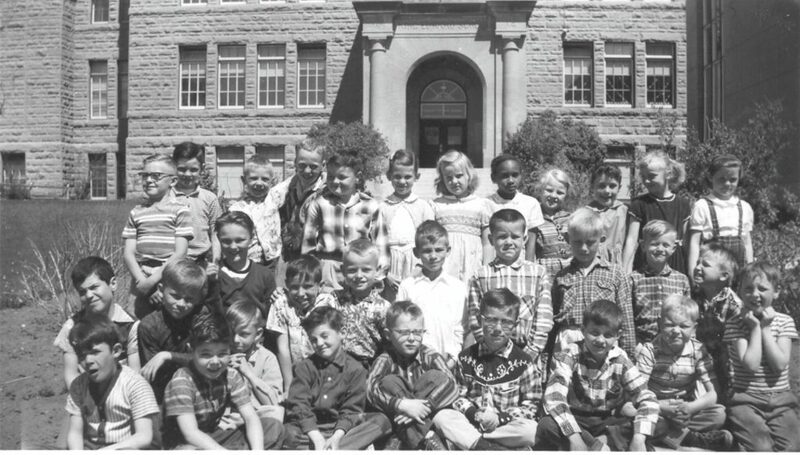 Hans Klassen, a student at King Edward from grades 1 to 9 (1957-66) shared with us a picture of his Grade 3 class, taken in 1958, and celebrated the achievements of the many talented and accomplished students wandered the halls, including Brian Carlin (NHL hockey player), Brian Olson (Executive VP of NOVA Corp), Vic Rempel (teacher and co-founder of Sun Ice Clothing), Jeff McCaig (Chairman of Trimac Industries), and many, many more great artists, academics, athletes, musicians, actors and individuals. We also heard from Margie Schroeder Haase, a grade one/two teacher at King Edward school (1974-81) shared her memory of the bats that flew around the top floor of the building, sometimes making their way into classrooms to the delight of students and dismay of teachers. In addition to an array of mementos from the past, we also received a number of contributions from tenants and people involved with the development of cSPACE King Edward. 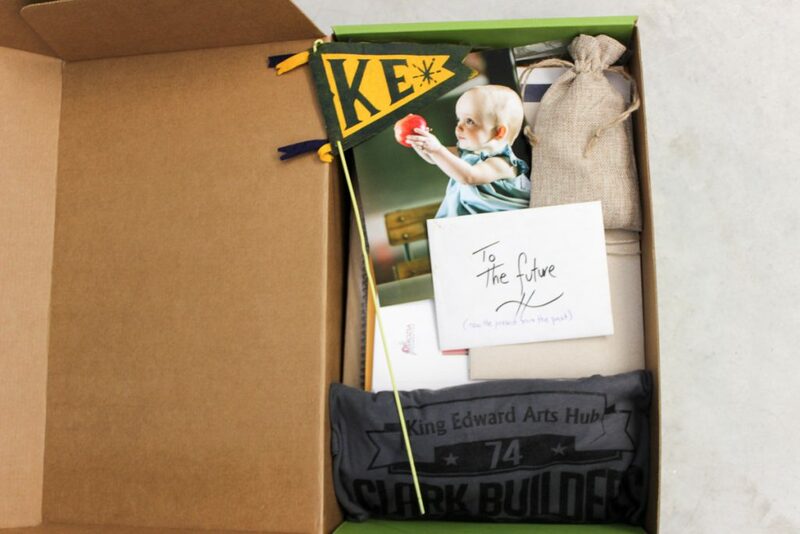 From blueprints to sealed handwritten letters, to a poem from Poet Laureate, Kris Demeanor, and a painting from artist, Cecile Albi, the time capsule is brimming with the hopes, dreams, and mementos of the next generation of King Edward’s alum. 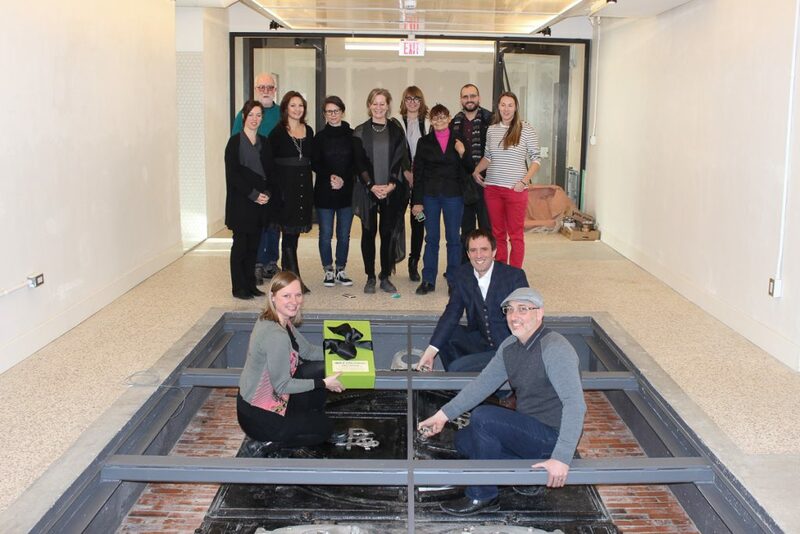 For now, the time capsule has been sealed beneath the school’s historic boiler doors, which are inset into the original terrazzo flooring and displayed under glass on the first level of the building. This is where the time capsule will remain until it’s uncovered in 2062 to commemorate the 150th anniversary of the building. Here’s to the next generation of learning, creativity, collaboration, innovation, friendships, achievements and memories! Sealing the King Edward Time Capsule on Tuesday, January 10, 2017. See you in 2062!